1960. A 4-year boy-wonder overtook the lead actors in a black and white film, resulting in a runaway super-hit, Kalathur Kannamma. 1975. A cameo performance made all the difference to a black and white film loaded with relationship curves. Apoorva Raagangal stirs the box-office. The boy-wonder from 1960 also has the lead role in the 1975 film. The two actors were pitted against one another for less than four scenes. The child-actor went on to be heralded as India’s finest actor, and the actor who was in a cameo led him to become India’s biggest superstar. Thus we have Kamal Haasan and Rajnikanth ruling the roost 42 years since they made a mark together in 1975, and for Haasan, 2017 marks his 58th year in the field of Indian entertainment and cinema. When Amitabh Bachchan turned 60, he was left asunder to figure out where exactly his career was heading. He had to take the back seat and play father-in-law to Shah Rukh Khan in Mohabbatein. But true to the class and depth of his talent, Big B turned his fortunes around with his immensely gifted performing abilities on television (KBC) and with his fabulously written roles on the silver screen marquee. It was only a matter of time before the southern stars saw their age catching up with them, but both Kamal Haasan and Rajinikanth swung the bag of their birthdays over their shoulder and didn’t have to look back, till now. With Shankar’s Enthiran (Robot part 1), Rajinikanth hit the ball out of the park, both as scientist Vaseegaran whose love interest played by Aishwarya Rai was coveted by his creation – Chitti, the Robot. 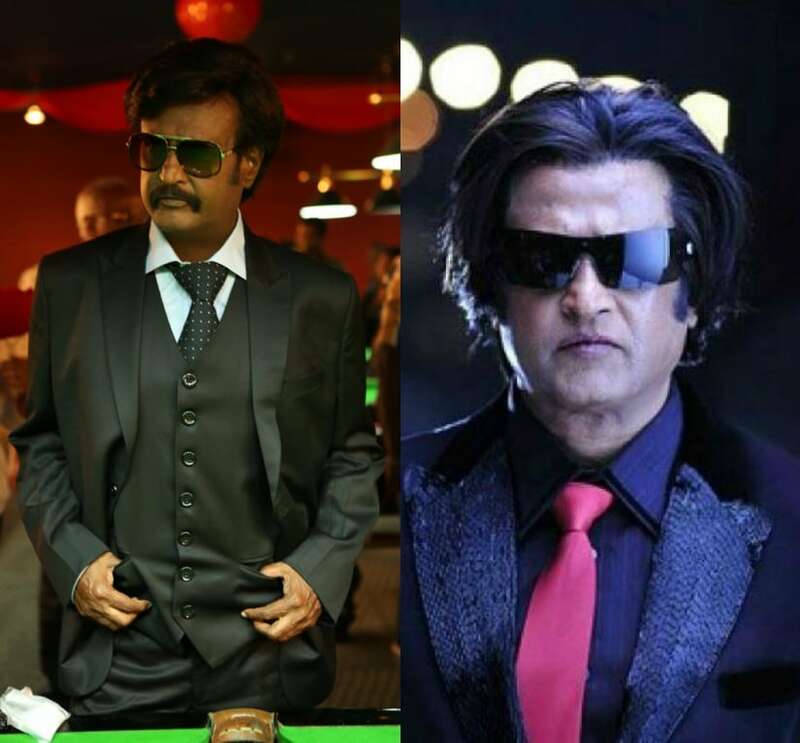 The inter-play between the three of them made the world sit up and notice a new side to Rajnikanth – the character of the villain or the anti-hero. Kabali, saw him play his age but not without him being the central spinning top of the plot. Rajnikanth was not going to be any other lead actor’s crutch. Kamal Haasan has the added advantage of being his own writer and director for over two decades now. With Dasavatharam, he turned around his business numbers to garner the many crores which today stands as his remuneration. With a choice of plots like an espionage thriller (Vishwaroopam), a wise remake in Paapanaasam (Drishyam) and addressing the concept of a hero who battles with mortality in Uthama Villain, Haasan broke the Gordian Knot of ‘age’ for the on-screen hero. If he was playing an old man, then the old man would be the hero of the film. Like he did way back in Indian (1992). 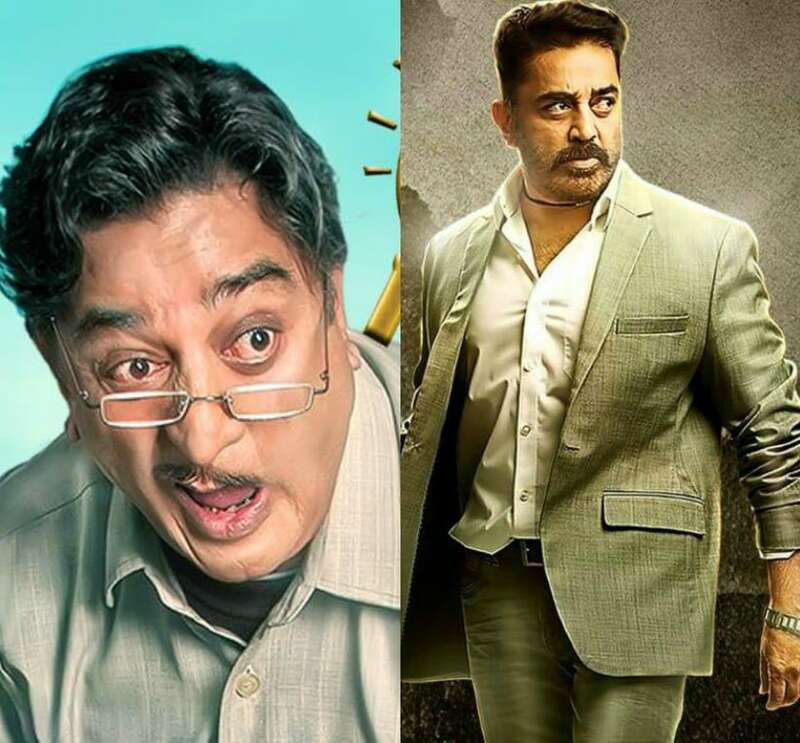 Or like he will be doing with Sabash Naidu, where the protagonist is a bumbling detective, whose antics are comical and whose manner and appearance is not even remotely romantic – a genre Haasan is famous for ‘discovering’ in his films (he was called Kadhal Ilavarasan Prince of Romance till the mid 80s until Nayagan changed it all). Yet Naidu is a hero because Kamal Haasan will play him so. 42 years after their immensely successful careers, and having seen the ups and downs of their markets in the last decade, any announcement from either Kamal Haasan or Rajnikanth still causes the world to pause. Relevant, pertinent and able to muscle up a media storm, these two men (legends to fans), probably have the most unique career graphs which no two independently successful actors in the world can possibly have. You cannot discuss Rajnikanth’s career without mentioning Kamal Haasan and vice versa, because both of them had the same mentor-director in K Balachander, both of them became heroes in the same years (1975-1980), and both of them channelised their careers after a point (after KB’s Ninaithaley Innikkum) to not act together and to take on independent roles and movies. This move has only resulted in a humungous release-hype and fan-following which increases for them year after year. In Malayalam cinema, Mammotty and Mohanlal have a similar record to show (and more number of movies together) but the impact of a Rajinikanth-Kamal Haasan combination has a world-wide value today. Especially when they follow up their career announcements one after another. This week’s entertainment news is loaded with updates from both actors. While Rajnikanth’s 164th film poster went viral the minute it was launched, Haasan’s television debut teaser was a hoot. 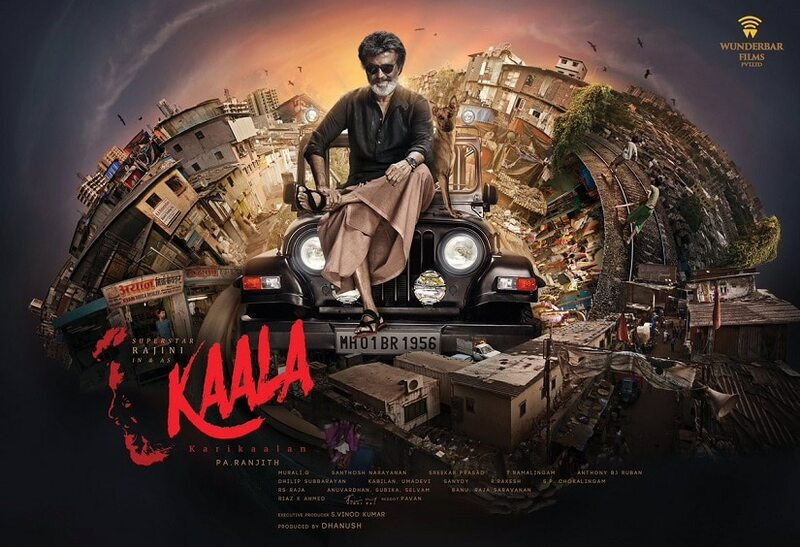 Kaala – Karikaalan (imagine it in superstar’s voice, saying it like, Bond...James Bond) directed by Pa Ranjith and produced by Dhanush, has caused enough buzz. 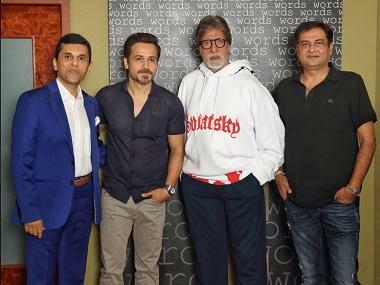 The Mumbai connection, the anti-hero appearance, the lungi-dark glasses touch and the angry man (no, we will not classify superstar as old as yet) whose eyes convey much furore within his bearded countenance, tell you that Rajnikanth is not going anywhere without a final roar at the box-office. His political debut can wait, because his acting is still much-in-demand even as he crosses 66 in the column against the word ‘age’. Kamal Haasan, 62 (he doesn't look it) released the promo for his Big Boss TV show on Star Vijay earlier this week. The promo has his lines with insightful touch (he is the Lead Creative Head of the project), his nudge at politics where he remarks about the politician who wears a mask, his ‘direct communication’ with an audience who are shown to be from all levels and walks of life and the final lines on his role as the ‘big brother’ who will be watching the participants. The key interest factor however is to get to watch Kamal Haasan week after week, in the drawing room, where as a host, his interactions with participants will bring the viewers to a much closer understanding of the man behind the star-actor. 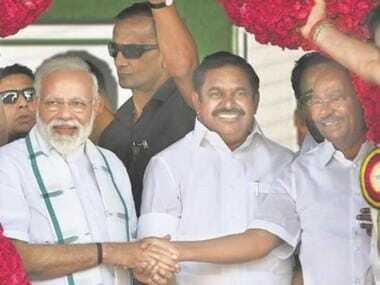 The political scenario in Tamil Nadu has interestingly provided much fodder for both these stars to be in the limelight for over six months now. The impact of an announcement from either Rajnikanth or Kamal Haasan is like a day of their film release itself. 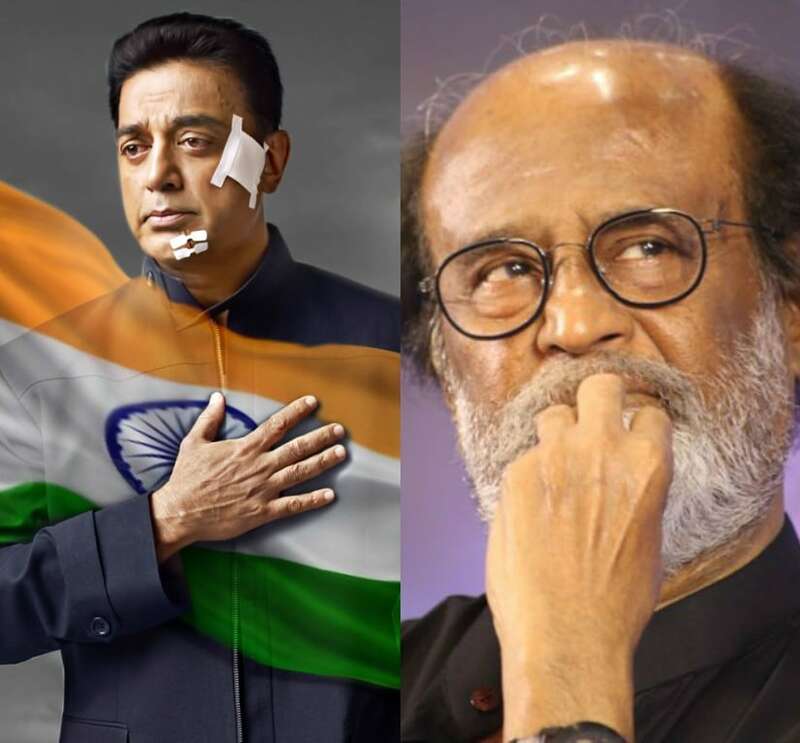 Much curiosity, online sharing, back and forth comments and the big fight that happens duly between Rajni fans and Kamal fans, which out-beat the ones that happen between any other pair of heroes, tells us only one thing – both Kamal Haasan and Rajnikanth are limited editions. They don’t make such models anymore.